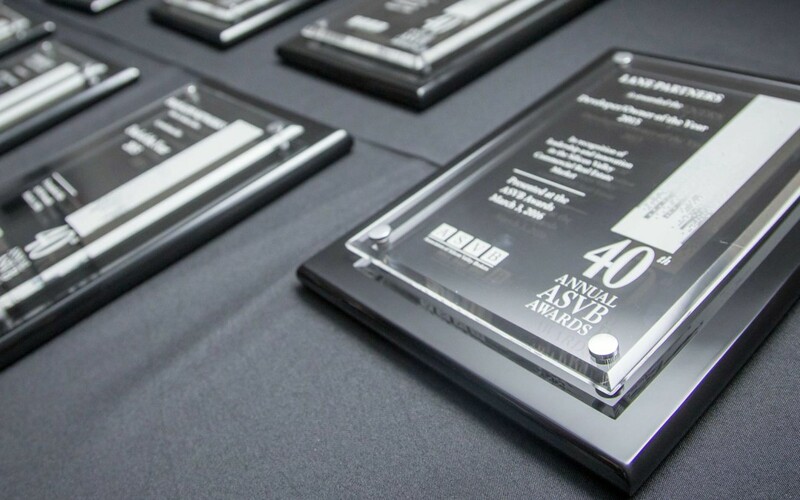 Nearly 400 commercial real estate industry leaders attended the 40th Annual ASVB Awards Banquet on Thursday, March 3, 2016 at The GlassHouse in Downtown San Jose. This event recognized the prior year’s achievements of Silicon Valley commercial real estate brokers in a number of award categories. In celebration of it’s 40th Anniversary, the ASVB departed from our traditional awards banquet format to a more festive cocktail party. The new format encouraged more networking and conversation and was warmly received.